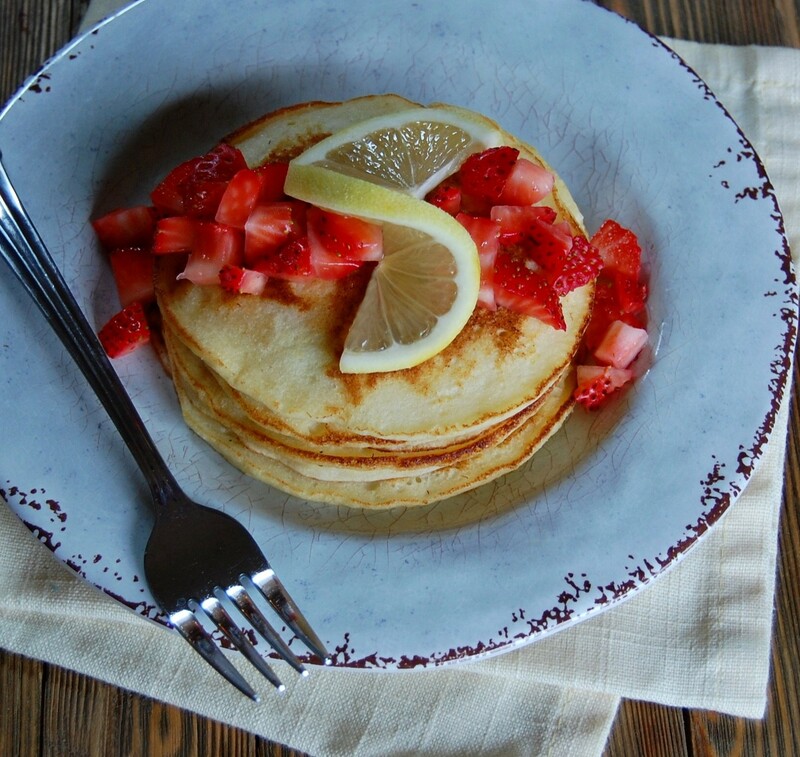 Our light and fluffy lemon ricotta pancakes, topped with fresh fruit and warm maple syrup, are simply delicious, Enjoy! In a mixing bowl, add the flour, baking powder and salt, stir to combine; set aside. In a separate mixing bowl, add the buttermilk, eggs, vanilla, vegetable oil, ricotta cheese, sugar and lemon zest. Using a wire whisk, gently stir the ingredients together until evenly combined. Add the flour mixture into the bowl with the buttermilk and ricotta cheese. Fold the ingredients together until evenly combined with only a few small lumps remaining in the batter. Do not over mix the batter. Heat a griddle or non-stick pan over medium heat; brush with melted butter. Using a 4 oz. ladle, pour the batter onto the griddle or into the non-stick pan and form pancakes. 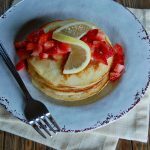 Cook the pancakes for approximately 2-1/2 minutes or until the edges begin to dry and puff up with little air bubbles will start appearing over the top surface of the pancakes. Flip each pancake over and continue to cook for another 1-1/2 minutes or until done. To serve, top with diced strawberries then drizzle with warm maple syrup.